Do back taxes prevent the sale of a house? My mother died 2 years ago and gave me her flat in London. Now, as I try to sell it seems there are back taxes that need to be paid first in order to sell it. Is it true that I can't move on with the sale until I pay those back taxes? Can I take the back taxes off the revenue I get from the sale? When a person dies someone has to take responsibility for dealing with their property, debts and distributing the estate. The person who administers any part of an estate situated in the UK normally needs proof of legal authority to be able to do so. They get this legal authority by obtaining a grant. Before a grant is issued any inheritance tax (IHT) that is due must be paid. I think that this is what you mean by 'back taxes'. 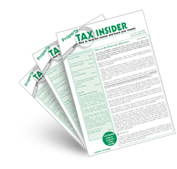 IHT that you may need to pay cannot be taken off the revenue you get from the sale.